Whilst the article in this month's section 8 on Drones/UAVs was written about the situation in the USA it so easily could apply to us in Africa, so please take the time out to read it. Whilst the SACAA have recently legislated the use of drones people's indiscrimate use of them with a "so what attitude" to the regulations gives Aviation Safety Professionals a major migraine just thinking about what could possibly occur. I recently observed a real situation of poor airmanship at Rand Airport where a visiting pilot thought that the rules did not apply to him. No chocks - oh sorry two small stones which he threw onto the grass or was it the taxiway prior to leaving - no hi-vis PPE and he did not carry out a walk around check prior to departure - guess "it worked ok coming here didn't it" was his attitude. Instructors please remember to explain the importance of proper apron procedures to your students and report anyone not complying with the Regulations to the Aerodrome Safety Officer. We attended an Air Accident and Incident Investigation workshop held by ICAO, NTSB (US) and the SA CAA last month from which the article in section 2 was derived. Many thanks for the Interstate Aviation Committee's informative presentation on accidents and accident prevention in Russia and the CIS member states. The following statistical data came from Interstate Aviation Committee (IAC) who worked in conjunction with the Commonwealth of Independent States (CIS), CAA and with other Civil Aviation Regional Authorities in the frame of Flight Safety provision, personnel training and air accident/incident investigations and concerns Flight Safety analysis for CIS aircraft operating within the African Region. Today 158 ANTONOV aircraft of the following types are registered in different African States: An-2, An-12, An-24, An-26, An-28, An-30, An32, An-72, An-74, An-124. The majority of the aircraft operating in Africa are of An-26 type (46 aircraft), there are also 22 aircraft of An-32 type, 6 An-30 aircraft, 23 An-12 aircraft, 7 An-24 aircraft, 17 An-28, 8 An-72/74, 27 An-2, and 2 An-124 aircraft. Only 28 of them have the Certificates of Airworthiness registered with the manufacturers. Today 56 ILYUSHIN aircraft of the following types are registered in different African States: 7 IL-78 aircraft, 41 IL-76, 2 IL-62 and 6 IL-18 aircraft. Today 7 TUPOLEV aircraft are registered in African States: 1 Tu-143, 1 Tu-154B and 5 Tu204 aircraft. Also in African States there are some aircraft in operation that registered in other states (40 IL76 and 4 IL-18 aircraft). Together with ANTONOV, ILYUSHIN and TUPOLEV aircraft there are some Russian-made rotorcraft in operation in Africa, such as: Mi-8, Mi-17, Mi-172, Mi171, Mi-8MTB/AMT. Airlines of African States have collected a significant amount of D30-KP-1-2, D30 KU engines (for IL-76 and IL-62), AI-20 (for IL-18 and An-12), AI-24 (for An24/26). For most of them manufacturers do not have any data at all. ANTONOV aircraft are in operation in such States as: Sudan (61 A/C), DR Congo (19), Libya (21), Angola (9), Sao Tom� and Principle (14), Guinea (7), R Congo (6). ILYUSHIN aircraft are in operation in Libya (11 A/C), Sudan (9), Angola (9), Algeria (18), Congo (1). TUPOLEV aircraft are in operation in Sudan (2 A/C), Egypt (5). Based on the available data, which is partially incomplete, there were 168 aviation accidents in Africa involving USSR/CIS-made A/C for the period of 1992 - June 2014. These accidents involved both aircraft included into the Registers of African States, and aircraft belonging to airlines of the States of the Agreement. More than 700 flight crew members and passengers died as a result of the above accidents. However, starting from 2005, we can see a stable trend of a decrease in the amount of accidents. Analysing the flight safety situation it can be seen that, in general, the number of accidents (fatal as well) in 2014 went down five times in comparison with those in 2005.This shows that the preventive work carried out by CAAs and airlines' management. ICAO targeted seminars carried out in Africa, where vital issues of flight safety can be discussed, have had a positive effect to flight safety in the African Region. 17 Mar Apache 2 Nr Gao, Northern Mali. Rand Airport/ORTIA CTA 0 10 violations of the CTR were experienced during the month of August. Goma, DRC Construction Hazards - Aerodrome being fenced and runway is being rehabilitated. Unmanned aircraft. Very poor ATC. Possible volcanic activity. Libreville, Gabon Poor ATC coupled with inadequate navaids. Poor Marshalling combined with inappropriate behaviour of drivers on the ramp and taxiways. Blake Emergency Services is the International Crisis Management and Contingency Planning Consultancy who, although based in the UK, have serious experience in Africa having handled accidents, incidents, counselling, repatriation, DNA sampling and confirmation, in amongst others Lagos, Nigeria; Fez, Morocco; Pointe Noire, Congo; Moroni, Comores; Maputo, Mozambique and more recently Ukraine for MH017, Air Asia and Mali for Air Algerie. Please go to www.blakeemergency.com or contact rethea.mitchell@blakeemergency.com . If you are interested in becoming a volunteer for Blake Emergency Services please contact Rethea at the address given above. Note: Cost per delegate includes all training materials, refreshments and lunch. Note: Both Recurrent CRM and Dangerous Goods Training Courses are available upon request - even at short notice. Emergency Response, Incident Response, Operations Control, Emergency Response and Family Assistance training together with the writing of Emergency Response Plans and Procedures training is now offered. For more information, please contact Rethea on rethea@gaconsultants.com . Aircraft seat makers will soon start using lightweight, new-generation magnesium alloys in seat construction now that a long-standing ban has been lifted providing they meet strict flammability performance requirements. "Magnesium alloys may be used in aircraft seat construction provided they are tested to and meet the flammability performance requirements in the FAA Fire Safety Branch document: Aircraft Materials Fire Test Handbook - DOT/FAA/AR-00/12, Chapter 25, Oil Burner Flammability Test for Magnesium Alloy Seat Structure." The method of compliance (MOC) represents the latest agreement obtained by the SAE's Aircraft SEAT Committee to adapt the content with FAA TSO-C127b (the applicable TSO for aircraft seating) and to reflect the latest industry needs. It comes after many years of work on the part of British company Magnesium Elektron and regulators to show that magnesium alloys can be safely used in aircraft seats (the material is already widely used in jet engines). RGN recently sat down with Magnesium Elektron Managing Director Graham Wardlow and VP divisional strategic development Bruce Gwynne to learn about their exhaustive work to remove the historical restrictions, and about where we may see the firm's Elektron 43 alloy technology emerge (Elektron 43 has passed all FAA flammability testing and is considered the 'gold standard' by which the test method was developed). In 2007, we started with the FAA and during a FAA/industry meeting we decided to do some preliminary bar burning testing. We just got magnesium bars about 20 inches long, 2 inches high and about � inch thick, and we put them in front of the oil burner - it is the same oil burner set up like they use for seat cushion tests. We were very new to this and quite honestly we weren't really sure what was going to happen in this severe test environment. We brought in a lot of the new-generation, higher tech magnesium alloys, the higher temperature, higher strength alloys that we developed and manufacture for use in aircraft and other high performance applications. We also brought in some of the more plain vanilla type commercial alloys used in many commodity applications to compare," recalls Gwynne. "The high performance alloys that we produce did very well. In the test the FAA exposed the bar to the burner for four, five, six minutes of flame. A lot of the people with the FAA observing the test thought that as soon as you hit the bar with the flame it was going to just burst into flame immediately; they even had explosion shields set up. In the end they were all standing up front, close up, just looking at the test with no barriers. The test revealed that certain new-generation magnesium alloys performed very well; they would actually self-extinguish shortly after they were ignited. Some of the older alloy systems, once ignited, wouldn't go out until all the magnesium was consumed or had to be manually extinguished. The FAA was impressed enough at that point and they suggested 'well let's look at this on a full scale basis' so they initiated the concept. 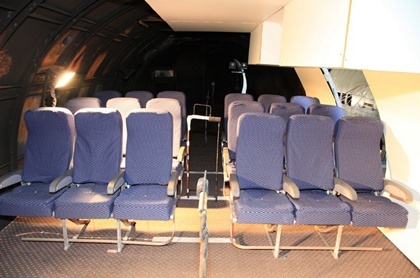 It was early 2008 when the FAA acquired some seats that were removed from service in aircraft. We wanted them to be 16G seats, so they would be current editions of the type of seats used now. The plan was we would substitute the magnesium for the aluminium in a set of them to compare performance in a full scale test." Gwynne continues, "We had a meeting about [the tests] with some of the seat manufacturers and we decided to substitute the cross tubes, spreaders, and leg assemblies. We later included the baggage bar and seat back frame. These made up the most mass of parts in the seats that were made of aluminium. So then the idea was, we will run a baseline flammability full scale test using the aluminium component seats. We would then bring in the seats that have the magnesium substituted and see what happens, to see if they are even comparable. Well it is a long story but in the end we did seven full-scale tests because there were odd things that did happen, but not with the magnesium. "The problem the FAA had was with the aluminium seats in the baseline testing. They couldn't get the aluminium structure to melt. This was considered necessary in order to properly compare the two materials. 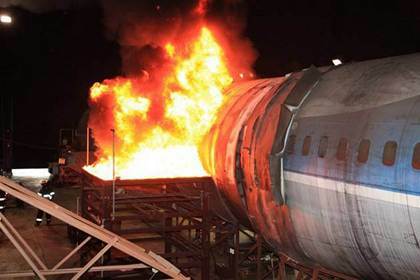 The conditions in the test aircraft were such that the fire was accelerating so fast that everything else was consumed and the test terminated before they could actually get the aluminium structure to melt. So they adjusted the conditions to the point where the aluminium structure did melt. We then brought in the magnesium seats; we ran the tests and sure enough the magnesium actually did as well or better than the aluminium. So that was pretty much the story." Wardlow notes that the base material will only ignite as it reaches its melting point. "When exposed to a heat source, it is just conducting the heat away, so it is difficult to get the metal up to its melting point. It was very important for the FAA that that material melted during those tests because they wanted to evaluate it in that situation. Overall, there was very little drama." Magnesium Elektron is mainly targeting the economy class market for its Elektron 43 product. 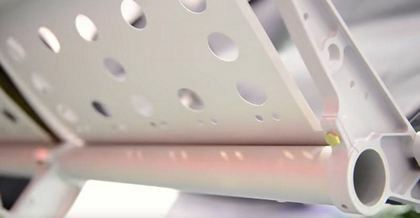 Italian aircraft seat manufacturer Geven has already incorporated the material into a seat. Panasonic Avionics in collaboration with B/E Aerospace last year unveiled a new 'Jazz' seat that uses magnesium alloys in limited applications. But there are also opportunities to incorporate the material into business class seats. "You know we look at using magnesium as a way to save weight to reduce fuel and emissions, but of course when we speak to the design houses, they are all interested in improving the customer experience," says Wardlow. "And certainly with things like some of those business class table trays, when you are pulling them out, there is some real weight of metal in that. We can take 25% off that, and that then, in addition to the fuel benefit, [means] now we are talking about moving into the arena of improving the customer experience." Gwynne says he has always been a big advocate for using the material in business class seats, but notes that seatmakers really didn't have the desire. "They sell these seats for hundreds of thousands of dollars per pax; the revenue return on them is just incredible and there wasn't a real incentive to get weight out of them, even though they weigh hundreds of pounds per pax. But now that is beginning to change and we are now hearing from virtually all the premium seat manufacturers because they have big chunky structural components that are in aluminium. In a lot of them, with just a little bit of engineering, it would be quite a simple substitution and they would be able to save quite a bit of weight immediately." 7. EVER WONDER HOW THEY TEST NEW AIRPLANES FOR SAFETY PROTOCOLS? It's common to get a little jumpy when you hit turbulence on a flight, or see something out the window at 35,000 feet that you can't quite explain. But before you let your imagination run in terrified overdrive, take a look at the extreme testing that every commercial airplane has to undergo before taking to the skies with passengers. Airlines never leave any aspect of safety to chance and are equipped to handle virtually any high-stress situation that may affect the plane. Unfortunately, it took some of the more dramatic accidents in the history of commercial air travel for plane manufacturers to develop their testing processes and safety procedures. It's not difficult for airlines to anticipate the maximum load a plane will have to carry, but that doesn't keep them from putting new planes through rigorous weight tests. Airplane manufacturer Airbus added 1.5 times the regular load when testing their new A350 XWB plane in 2013. When they found the ultimate load the plane could manage, the Airbus' wings were bent upwards almost 90 degrees without breaking. Even though the plane would never have to support that much weight in regular flight, pressing wing strength beyond its limit establishes exactly where the breaking point is when it comes to stress on the plane's structure. Many commercial planes are now capable of near-90-degree wing flexibility, despite the unlikely odds that they'll ever encounter such conditions. 'Ingestion' may not be the first word you associate with airplane safety, but it's a serious problem when it comes to in-flight safety and travel patterns in the sky. 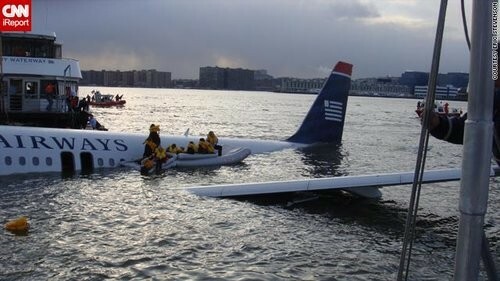 When a US Airways Airbus A320 made an emergency ditch landing on the Hudson River in New York City in 2009, the emergency was spurred by the plane's in-air collision with a flock of geese. Ever wonder how they test new airplanes for safety protocols? The first death by bird strike occurred in 1912, and airplane design since then has taken engine efficiency into careful consideration once a foreign object has been introduced. Bird collisions cause an estimated $US1.2 billion in repairs for planes per year, but it's extremely rare the damage caused is immediately dangerous. Unfortunately, the strikes often result in a tragic end for the bird involved. Airplane engine manufacturers now test specific collision conditions by throwing dead birds into test engines in flight simulations.Using a compressed air cannon, testers launch already-dead chickens into grounded engines and at the windshields of cockpits, all to ensure that the plane's windows and engine systems stay intact and on course if it comes into contact with a bird during flight. While safety is an obvious priority for airlines and plane manufacturers alike, companies are always looking for more efficient and cost-effective ways to test new planes for all the basic safety protocols. Manufacturers can run simulated, digital tests on the ground that confirm all the safety basics of a plane's inner workings and complex systems as if it were in the air. The Iron Bird process puts the high-tech systems of an airplane through all the standard safety tests by simulating every procedure a pilot would execute in the air, from take-off to landing, all without ever assembling the full airplane. Simulations can now even replace physical standard protocols, like the bird strike tests and wing flexibility exercises. While Iron Bird testing helps airlines cut down on costs, it also keeps pilots and passengers safer, sooner. By executing all safety tests on the ground, manufacturers and airlines are alerted to potential dangers and before any human is ever put in harm's way. On Sunday 16 Aug, a swarm of small rogue drones disrupted air traffic across the USA on a scale previously unseen in U.S. skies. * At 8:51a.m., a white drone startled the pilot of a JetBlue flight, appearing off the aircraft's left wing moments before the jet landed at Los Angeles International Airport. Five hours later, a quadcopter drone whizzed beneath an Allegiant Air flight as it approached the same runway. Elsewhere in California, pilots of light aircraft reported narrowly dodging drones in San Jose and La Verne. * In Washington, a Cessna pilot reported a drone cruising at 1,500 feet in highly restricted airspace over the nation's capital, forcing the U.S. military to scramble fighter jets as a precaution. * In Louisville, a silver and white drone almost collided with a training aircraft. In Chicago, United Airlines Flight 970 reported seeing a drone pass by at an altitude of 3,500 feet. All told, 12 episodes - including other incidents in New Mexico, Texas, Illinois, Florida and North Carolina - were recorded Sunday of small drones interfering with airplanes or coming too close to airports, according to previously undisclosed reports filed with the Federal Aviation Administration. Before last year, close encounters with rogue drones were unheard of. But as a result of a sales boom, small, largely unregulated remote-control aircraft are clogging U.S. airspace, snarling air traffic and giving the FAA fits. Pilots have reported a surge in close calls with drones: nearly 700 incidents so far this year, according to FAA statistics, about triple the number recorded for all of 2014. The agency has acknowledged growing concern about the problem and its inability to do much to tame it. So far, the FAA has kept basic details of most of this year's incidents under wraps, declining to release reports that are ordinarily public records and that would spotlight where and when the close calls occurred. The Washington Post obtained several hundred of the rogue-drone reports from a government official who objected to the FAA's secrecy. An FAA spokeswoman, Laura Brown, declined to comment on the reports obtained by The Post. The documents show that remote-control planes are penetrating some of the most guarded airspace in the country. Drones have also continued to pose a headache for Secret Service agents seeking to protect the president, according to the FAA reports. On March 29, the Secret Service reported that a rogue drone was hovering near a West Palm Beach, Fla., golf course where President Obama was hitting the links. Secret Service spokesman Brian Leary confirmed the incident. He declined to provide further details but said the Secret Service "has procedures and protocols in place to address these situations when they occur." Both episodes occurred after a widely reported scare in January, when a small quadcopter drone crashed on the White House grounds, briefly triggering a lockdown and reinforcing concerns about security at the executive mansion. U.S. officials have said they are growing more concerned about the possibility that terrorists might seek to use small drones. In a July 31 intelligence bulletin, the Department of Homeland Security said it had recorded more than 500 cases since 2012 in which unauthorized drones have loitered over "sensitive sites and critical installations." According to the FAA documents, military aircraft flying near U.S. bases or in restricted areas have also reported close calls with drones on at least a dozen occasions this year. On July 10, the pilot of an Air Force F-15 Strike Eagle said a small drone came within 50 feet of the fighter jet. Two weeks later, the pilot of a Navy T-45 Goshawk flying near Yuma, Ariz., reported that a drone buzzed 100 feet underneath. Despite a prohibition against small drones flying within five miles of airports or above 400 feet, the FAA documents show that the robotic aircraft have become pervasive intruders, hovering near runways and busy air traffic corridors. Pilots are also spotting the small drones at altitudes previously unheard of - higher than 10,000 feet. On May 30, crews from Caribbean Airlines and JetBlue separately reported seeing a drone with coloured lights at an altitude of 12,000 feet about 25 miles southeast of John F. Kennedy Airport in New York. The FAA reports are brief and preliminary in nature. In some cases, follow-up investigations determined that objects pilots had assumed to be drones were in fact something else. Rogue drones a growing nuisance across the U.S. In most cases, rogue drones disappear without a trace. The aircraft are usually too small to be detected by radar and do not carry transponders that would broadcast their locations. Unlike other planes, these drones are not marked with serial numbers, and their owners are not required to register them. No incident has resulted in a mid-air collision. But in dozens of cases, pilots reported that drones flew within 500 feet of their aircraft, so close that they usually had no time to react. On March 21, the crew of Delta Air Lines Flight 874 told air traffic controllers in New York that a small drone passed within 50 feet of the airliner's left wing near LaGuardia Airport. One month earlier, on Feb. 24, a Delta flight heading toward Los Angeles reported that a red and black drone coming from the opposite direction overflew the Boeing 757 by 100 feet. In an incident near Los Angeles International Airport, American Airlines Flight 287 reported on June 8 that a blue and silver drone appeared 50 feet off its left side, just above the wing. Elsewhere, regional carrier Air Wisconsin reported May10 that a drone whizzed "right off the nose" of the passenger plane at an altitude of 5,000 feet near Charlotte. Nine days later, another Air Wisconsin flight reported that a drone passed within 10 feet of the aircraft outside Philadelphia. Most of the drones were described as small and likely weighing only a few pounds, according to the reports. Aviation safety experts say that even tiny drones could trigger a disaster by crashing into a propeller or windshield, or getting sucked into a jet engine. Small drones have become hugely popular with consumers who fly them for recreation. Many models come equipped with sophisticated video cameras yet retail for less than $500 and can be flown with little or no training. The Consumer Electronics Association estimates that hobbyists will buy 700,000 of the aircraft in the United States this year. No city has seen more illicit drones than New York. Since March, pilots flying into or out of LaGuardia and Kennedy airports have reported encounters with drones 33 times, according to the FAA reports. In an interview, Sen. Charles E. Schumer (D-N.Y.) said that "the number of near misses is astounding" and predicted that it would be "only a matter of time" before a crash occurs. Schumer pledged to introduce legislation requiring manufacturers to install technology on all drones to prevent them from flying above 500 feet, near airports or in sensitive airspace. Such technology, known as geo-fencing, relies on satellite navigation to pinpoint a drone's location. "Every day without this law increases the chances that a bad accident will occur," he said. Users of the Johannesburg aerodromes must be aware of the fact that they all take Aviation Safety and AVSEC seriously. If you want to use them as a Pilot or are employed in any way on them then we would recommend that you make yourself aware of Part 139 in the SACARs and the Rules and Regulations applicable to that particular aerodrome. Be prepared for fines being levied if you breach any of the SARPs. Next Safety Meeting will be held on Tuesday 6th October 2015 at 09.00 in the Old Customs Hall. * Drivers found to be speeding on airside will have their access remote taken from them. *All delivery vehicles and visiting vehicles requiring access to airside MUST be escorted from the access gate to the premises and then after closure of their business back to the gate for egress. We said a fond farewell to Paul Roberts the stalwart of AVSAF at Rand Airport who has gone on to pastures new. We wish him the best of luck. All operators are required to report Bird Strikes to the Safety Office even if there has been no structural damage to the aircraft as a result of the strike. Next Safety, Security and Stakeholders Meeting will be held on Tuesday 8th September 2015 at 12.00 in the LIA Training School. * Smoking/Cellphone usage at Fuel bay: once again you reminded all that use of cell phones in close proximity of the Fuel installation is not allowed. Guilty parties will be escorted from the vicinity and possibly banned. It is still a concern that cigarette butts were being discovered in close proximity of the fuel plant. Smoking at the fuel plant is illegal. There is a smoking area at the Fire Station for those who wish to smoke. Part 140 is undergoing an upgrade. A Safety Management Industry interactive Sessions was held on the 31st July during which the industry was advised of the status of the new Part. All ASOs are requested to keep a close eye on the CAA website as the SACAA will publish the draft version on it following its release from CARCOM. Any comments should be referred to sms@caa.co.za . The High Court grounded an aircraft, allegedly belonging to a state airline of the Democratic Republic of Congo, from leaving Dublin Airport in a dispute over a debt of �10 million. The interim injunction prevents both the Democratic Republic of the Congo (DRC) and La Soci�t� Congo Airlines from moving, operating or otherwise interfering with the aircraft - an Airbus A320 undergoing works in Dublin - without their consent. The injunction also prohibits the aircraft's removal from the jurisdiction. The interim injunction was granted, on an ex-parte basis where only one side was present in court, by Mr Justice John Hedigan. The order was sought by a US company Miminco LLC and two American citizens John Dormer Tyson and Ilunga Jean Mukendi who are owed some $11.5 million by the Congolese government. The US parties say they got into a dispute with the DRC in relation to the ownership of two diamond mines they bought. Standard Bank Bedford Gardens; Bank Code 018 305; Account Name: SA Air Force Association (JHB Branch); Account Number: 022 605 568. You may use either your Company or Individual name along with the word donation as the reference. Can we help you with your aviation safety and / or quality requirements? Should your operation be of a size whereby the full time employment of an Air Safety Officer and/or Quality Assurance Officer is not financially viable then we can provide you with Consultants who are holding Air Services Licensing Council approval. We can also provide you with a tailor made SA CAA approved Safety Management System. Global Aviation Consultants accepts no liability for the content of this email, or for the consequences of any actions taken on the basis of the information provided, unless that information is subsequently confirmed in writing. If you are not the intended recipient you are notified that disclosing, copying, distributing or taking any action in reliance on the contents of this information is strictly prohibited.